Relationships don't disintegrate because of one big earthquake, but due to slow erosion over time. Therefore, the enemy of love is not hate, but time. So how do we protect marriages and other important relationships from falling victim to this trend? Pastor Jeff Walling explains that we do so by making time for our loved ones and by realizing that love that outlasts time is always based on something bigger than ourselves: the love of Christ. 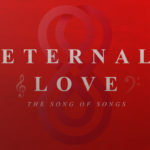 Pastor Jeff shares three secrets to eternal love.